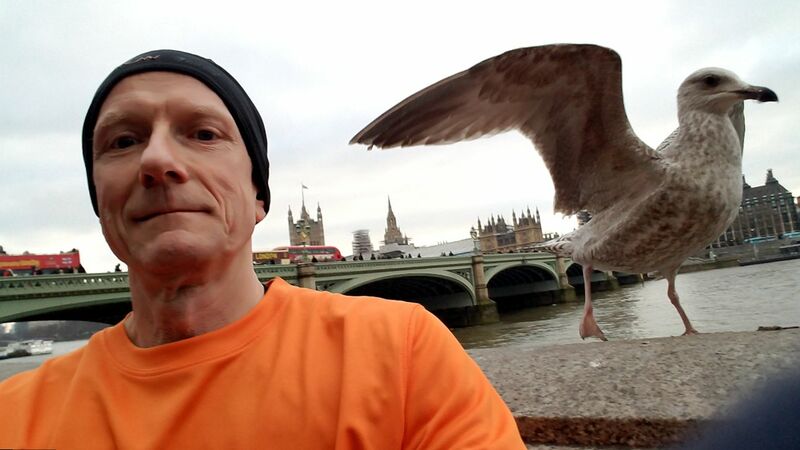 Harriers Go National & International! | Rochdale Harriers & A.C.
A cold February weekend saw Harriers travel to London for the National Cross Championships at Parliament Hill, over the Welsh border for the Wrexham Half Marathon and even further afield for the slightly warmer Malta Half Marathon. 10 Harriers travelled by train to London on Friday, with Jill Butterworth, Nick Barton, Mark Walker, John Mayall and Richard Stirzaker enjoying a easy paced seven mile sightseeing jog taking in St. Paul’s Cathedral, the Globe Theatre, the Tate Modern, the Palace of Westminster, Whitehall and Trafalgar Square. Later they were joined by Colette Cooke, Anna Blomfield, Ray Dalby, Nick Walsh and Matt Cox to fuel up with an Italian meal in Islington’s Chapel Market. 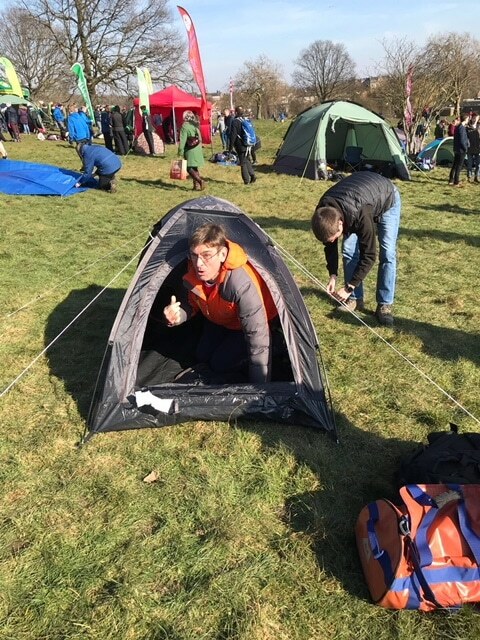 On Saturday, after a hearty breakfast and a trip to Argos for a tent, the team set off for Parliament Hill by bus. 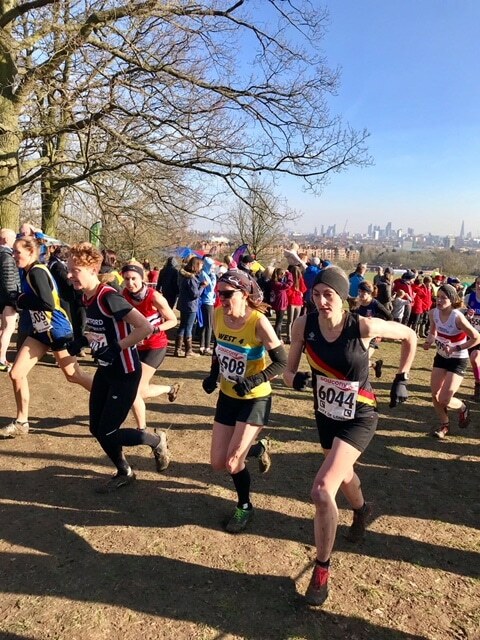 Parliament Hill, part of Hampstead Heath, is the home of English Cross Country running and where out Club President won the National Junior (U23) Championship in 1961. 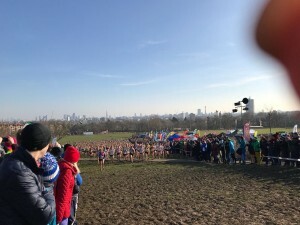 Whilst by no means free of mud, the course was much drier than it had been when the National last visited in 2015, however, a number of the team recovering from injury had decided that the race had come a little early and decided not to run. 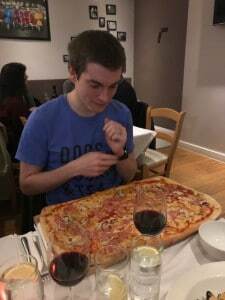 I don’t think we will get the whole team in here! 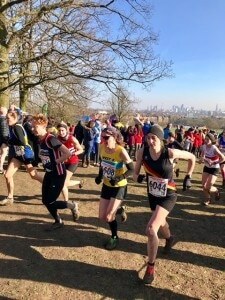 Jill and Anna competed in the Senior Women’s race in bitterly cold conditions, with Jill continuing her run of form to finish in 384th place in 38:50 and Anna finished in 536th in 40:59 for the 8km course out of a total of 1113 finishers. 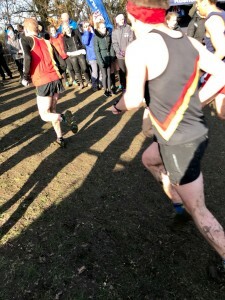 Nick Barton was another casualty prior to the Senior Men’s race, with his recurrent foot injury ruling out a start. Richard was the first Harrier to finish in 461st place in a time of 48:36 for the 12km course. Mark was second in 1683rd place in a time of 1:01;06, John was 1901st in a time of 1:04:34 and Matt was 2231st in at time of 1:13:22. A total of 2328 athletes finished. After some defrosting, a Curry and an evening of expensive refreshment was enjoyed in London’s West End. 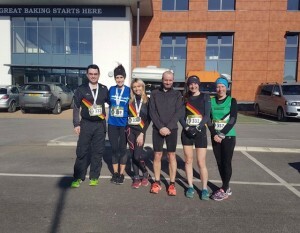 On Sunday, Kay Welsby, Brian Moore, Matt Jones, Fiona Williams and Jenni Pilling travelled west to take part in the Wrexham Half Marathon. A fast flat course and some hard training over the winter meant that four of the five recorded personal bests. Matt Jones, Jenni Pilling, Fiona Williams, Brian Moore, Kay Welsby and Emma Ball (Middleton Harriers). Kay ran 1:31:41, the fastest time by a Rochdale Harriers lady since 2011. Brian did not run a personal best, but was very happy with his time of 1:31:53. 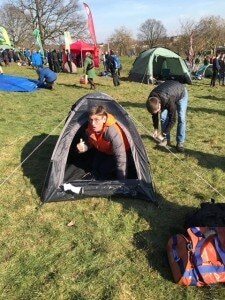 Matt recorded a time of 1:35:40, an improvement of around three minutes. 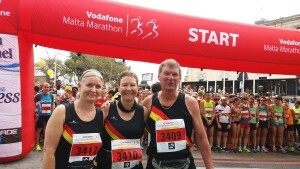 Fiona, running only her second half marathon, benefitted from her first few months of training with the club to improve her time by nearly five minutes to 1:36:02. Jenni also rewarded with a personal best of 1:37. 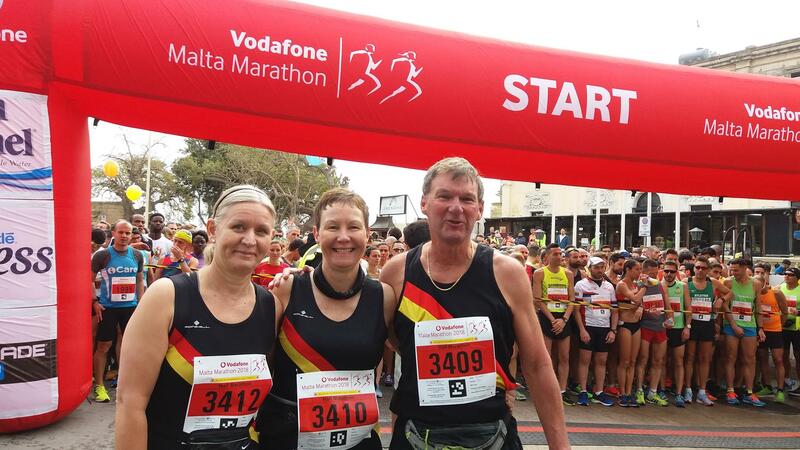 Regular travellers Richard and Jackie Mason were joined by Cath Unwin on a trip to Malta, to take part in the Malta Half Marathon, part of Richard’s quest to complete a half marathon in every country in Europe. Results to follow.